We all equate a green light as the universal sign that we are good to move forward, drive forward or ok to proceed. We took those definitions of the green light and applied them to the latest speaker in the GOgroove BassPULSE line. 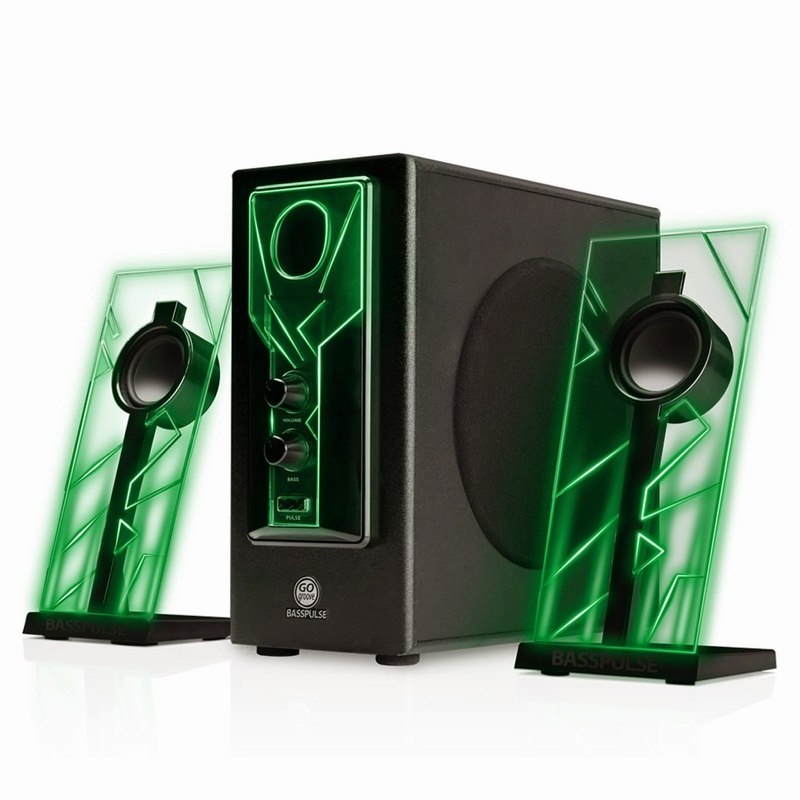 The GOgroove BassPULSE 2.1 Stereo Speaker System with glowing green LED lights, gives its listeners the green light to dance, rock out, relax, party or groove. Following in the footsteps of its blue and red predecessors before it, the green BassPULSE features full-range speakers and a side firing subwoofer for powerful, clear audio reproduction. It comes with a front-loaded volume control and bass equalizer for fine-tuning your audio, as well as a pulse control which allows you to turn the LED accents in the speakers on and off. The simple setup works with and device that uses a standard 3.5mm aux audio output. The bold, modern design with translucent acrylic molding and electric green LED accents make these speakers a site to behold. When the bass equalizer is turned up past 80%, the glowing light will begin to pulse to the beat of the bass. Outside of its amazing features and looks, the GOgroove BassPULSESpeakers are backed by a 3 Year Manufacturer’s Warranty.